Where are you in line to the throne? Now that the U.K.’s future king is here (third in line to the throne, you know), it begs the question: Where am I in line to the throne? Well, wonder no more! Try this “Where am I in line to the throne” calculator. I am apparently 12 millionth to the throne. (No big surprise there.) How about you? Thanks to Mike from StandoutCVs.com for sending me this link! Niagara Falls in pink or blue? Isn’t this gorgeous? 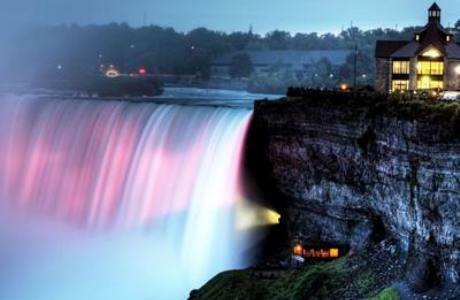 Canada has plans to illuminate Niagara Falls in a pink or blue light when Will and Kate’s baby is born. Wait. Did I say baby? I meant to say daughter because I’m so convinced that she’s having a girl. What do you think? Will Niagara Falls be blue or pink? Thanks to Lillie for sending me this news bite! I love shopping on Etsy. I recently discovered HouseThatLarsBuilt that does some delightful (and tasteful!) 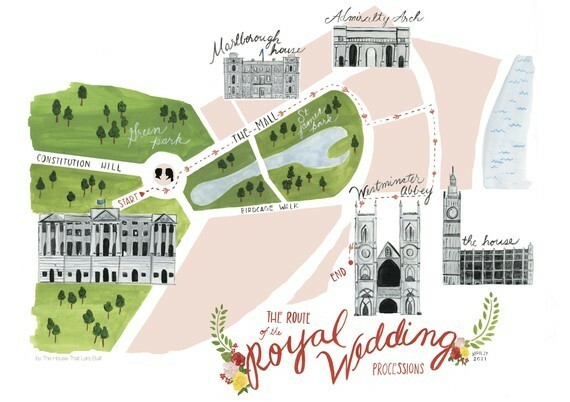 royal wedding memorabilia, including dinner plates, mugs and this sweet processional map.